When Prince Charles Secondary School classmates of 1964-1966 gather for a reunion this weekend, not all the conversation will revolve around old friends catching up. 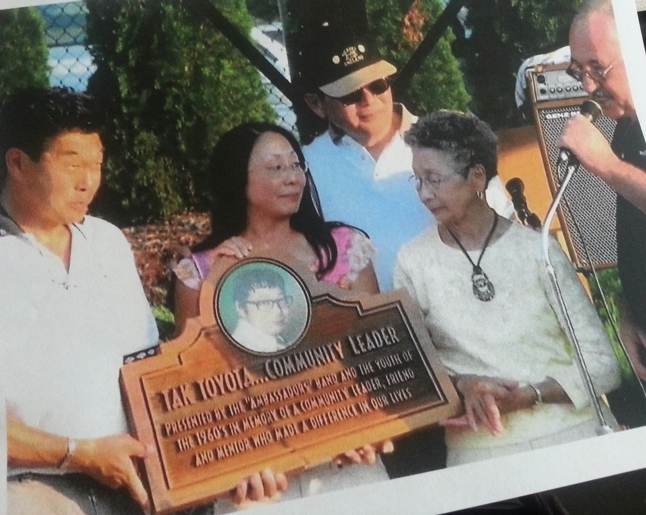 Tak Toyota who worked tirelessly for the betterment of his community, will also be remembered. 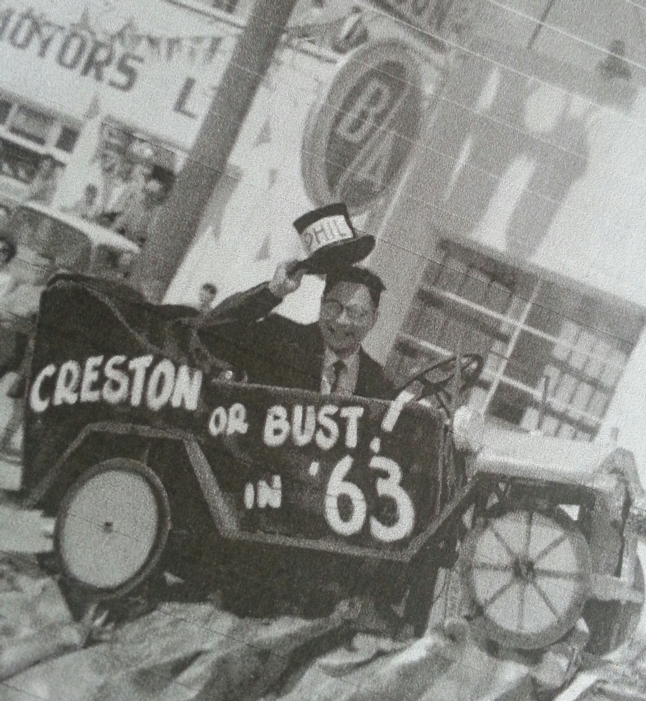 Toyota, father of Creston Mayor Ron Toyota, a 1965 graduate, will be featured in a tribute that includes a display of photos and newspaper clippings. “He meant so much to our community, and especially to young people,” organizer Pat Paterson said last week. 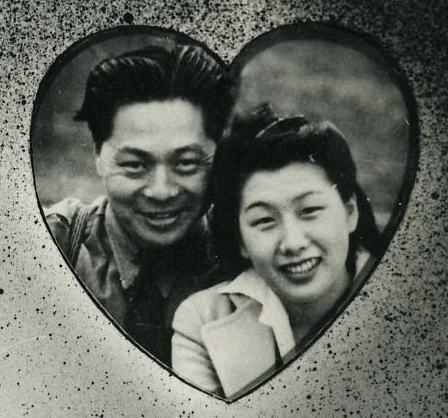 An entrepreneur at heart, Toyota married Betty Umakoshi in 1946 and shortly afterward they relocated to Creston, where he operated Creston Electric Ltd., a radio repair shop. It would eventually evolve into Taks Home Furnishers, with locations in Cranbrook, Fernie, Golden and Creston. He also developed a cabled video system for the town. Soon he took an active interest in community development. 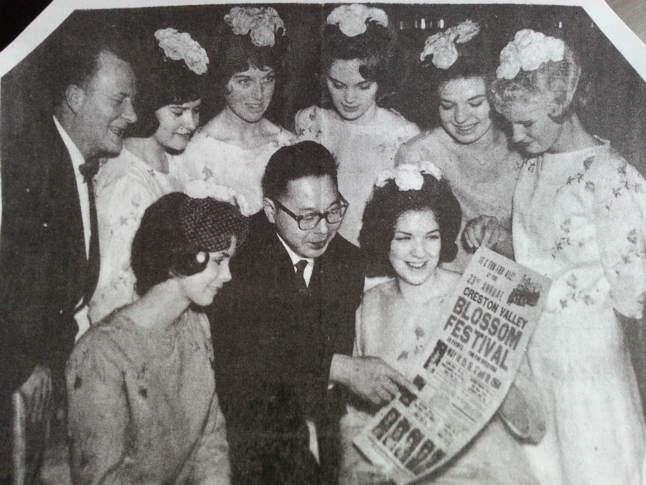 In 1958 he spearheaded the Kiwanis talent show, and he served as Creston Valley Blossom Festival chair for a number of years starting in 1960. After the old civic centre burned to the ground, Creston faced somewhat of a crisis. Insurance and donations, including land, allowed for the building structure to be completed on the present site, but two borrowing referendums to make the facility useable were defeated. Toyota headed a fundraising group that initiated Operation All-Out to raise $180,000 by asking families to donate at least $200. “Let’s get behind it, get it built, get it over with and enjoy it and be proud of it,” he wrote. In the 1960s, Toyota established Teen Town, which organized activities for students. He and Betty also led the way in establishing all-night grad parties and running them for several years. Battles of the bands drew teens from all over Creston Valley, where they danced to the music of competing groups. Members of bands recall him as an enthusiastic supporter of teen activities. One such band, the Ambassadors, reunited for a performance seven years ago in Millennium Park, with lead singer Pat (Whitford) Paterson at the microphone. In 1972 Toyota was honored as Creston’s citizen of the year, an award, not surprisingly, that he had initiated as a Kiwanis Club project in 1958. “The man who started the annual Kiwanis talent show here 14 years ago received his award as Creston’s citizen of the year at this year’s talent revue,” said a story in the Nelson Daily News. 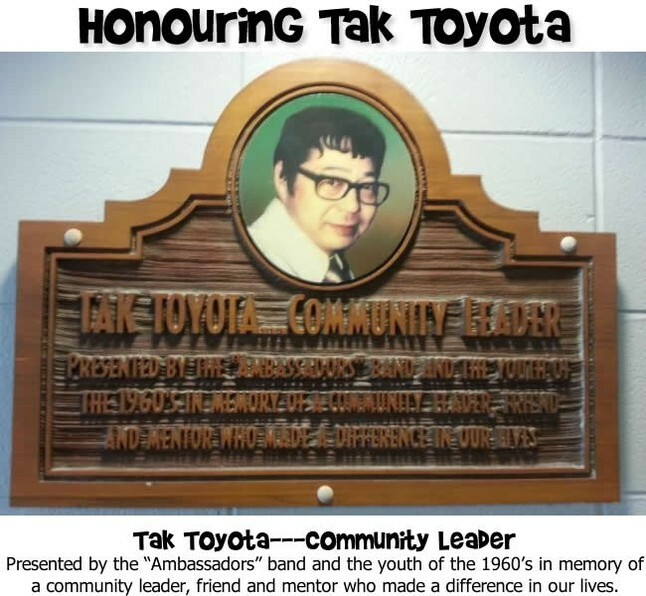 “Tak Toyota received a plaque from Kiwanis president Roy Pridham and a bouquet was given to Mrs. Toyota at the Prince Charles Secondary School. “Mr. Toyota, a businessman who has expanded his business to stores in Cranbrook, Golden and Fernie, has been an active community worker. 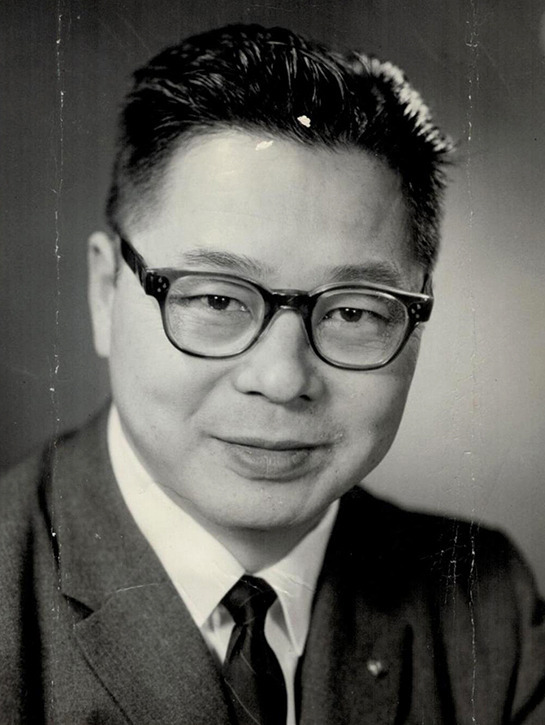 Toyota died following a brief illness on Feb. 18, 1973. From the Creston Museum’s collection, a photo of Tak Toyota taken by Hank Buckna in August 1964 for the Canadian Confederation Centennial Committee of British Columbia.